The Cozy Games software brand launched back in 2005 by a small team of expert online gaming veterans. The company’s vision was to create a new state of the art online gaming software, that could operate across several platforms all over the UK and Europe. They have since emerged as one of the top innovators in the online bingo and games field, and the Cozy Games brand name is now extremely well known. Since opening its virtual doors over 10 years ago now, the company have gone on to provide games to over 40 hugely popular online bingo and casino platforms in the UK alone including Wow Bingo, Comfy Bingo and Buttercup Bingo too. The quality of the software is really top notch, and its very easy to see why the brand is now a market leader. Once you have played on one Cozy Games site, it’s pretty easy to then navigate your way through pretty much all of them, as the layout and design is pretty standard across the board. Each individual Cozy Game platform does have a real sense of personality however, and they are all generally based on fun and vivid themes. All of the sites are part of a large gaming network, which means that most games and jackpots will be shared across several branded sites. This means more games and bigger jackpots will be up for grabs along the way, and it also helps to add a familiarity across all of the Cozy Games sites. The brand is now based on the Isle of Man, and they constantly continue to improve and develop the software as technology changes and advances over time. In 2017 the company was bought by GVC Services Ltd, and this has seen a huge transformation to the software as a whole. Deposit amount affects bonus amount as follows: £10 min = 50% bonus; £15 min = 67% bonus; £20 min = 100% bonus + 20 extra spins on Fluffy Favourites only. Wagering = 4 x bingo bonus & 40 x winnings from extra spins. Spins have 7 day expiry. 100% bingo bonus (30 day expiry, 4x wagering) & 20 extra spins on Fluffy Favourites only (7 day expiry, 40x wagering). Min deposit to qualify is £10. Max deposit £500. Deposit £10 min get 50% bingo bonus; £15 min gets 67% bingo bonus; £20 min gets 100% bingo bonus + 20 extra spins on Fluffy Favourites (wagering x 40). Bingo bonus carries 4 x wagering. Unused bonuses expire on 7th day of credit. 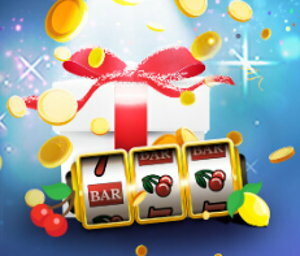 Welcome bonus of 300% on first deposit up to max bonus of £120. Min deposit £10 gives £30 bonus. Wagering requirements 4x on bingo. Bonus expires after 30 days if not used in entirety. 2nd deposit 150% bonus up to £60, 3rd deposit 100% bonus up to £50. Credited on first successful deposit, expires after 30 days. 300% bingo bonus up to max £120, carries 4 x wagering requirements. £10 min first deposit to qualify. Extra bonus available on 2nd & 3rd deposit also at 150% (max £60) and 100% (max £50) respectively. First deposit gets 50% - 100% bonus, deposit amount depending, min dep £10 max £500 (4x wagering on bingo). Deposit of £20+ also credits 20 extra spins on Fluffy Favourites (40x wagering) Unused bonuses expire after 7 days. 300% bingo bonus up to max £120 on first deposit, deposit £10 min to qualify. Wagering x4 on bingo. 30 day expiry. Additional bonus on 2nd deposit (150% up to £60) & 3rd deposit (100% up to £50). Same wagering/expiry terms apply. Min deposit £10. 300% bingo bonus to a maximum £120 (4x wagering bingo). 30 day expiry. 2nd & 3rd deposits also carry bonuses of 150% (up to £60) and 100% (up to £50) respectively. NO DEPOSIT BONUS (£5 Free + 5 Spins): 18+ New Players. Winnings from Bonus & Spins in form of Bingo Bonus & Games Bonus respectively, 3 day expiry | DEPOSIT BONUS: 75% match bingo bonus + 500% match bingo tickets on 1st deposit, £5 min £500 max, 5 spins (on select slot game only), 3 day expiry | Wagering of 4X on bingo apply for Bingo Bonus & winnings from tickets | 40X on slots apply for winnings from spins. The Cozy Games software has been tried and tested now for nearly 13 years, so you can trust you will be in safe hands when playing on one of their sites. The selection of online bingo and casino games is extremely varied and of excellent quality, and the company continues to improve with age. They are always at the forefront of any new technology, and the amount of sites that run on the network now only proves its popularity. The company operate out of their headquarters on the Isle of Man and offer exceptional white label solutions for branded online bingo and gaming sites. They offer the software out to pre existing companies to integrate into their sites, or they can build a brand new site/brand from scratch within just 4 weeks. They will then help companies to launch and grow each site to its fullest potential, and to stay ahead of the game throughout the ever changing customer and marketing needs of today. Technology – All Cozy Games sites will run on exceptionally high quality gaming software that is completely customised and highly secure. Upgrades – The company offer the most up to date specs across the board, and have recently revamped the software altogether. The platform now offers the latest built in flash drive available which provides clearer graphics, better features and an overall more enhanced bingo and gaming experience. Individuality – Although each Cozy Games site will have a similar layout, the company work hard to make each site unique to each individual brand. Games – Choose from over 500+ bingo, casino, slots and side games to play across all of the Cozy Games sites. The content rich games are aesthetically built to entertain players, and the Cozy network also has its own large collection of in-house games as well as branded rooms too. Accessibility – All games on the Cozy Games network now operate on HTML5, to fully support all gaming devices such as tablets, laptops and mobile phones. Licensing – All websites will be registered and fully licensed by the UK Gambling Commission and also the Isle of Man Supervision Commission too. This allows sites to legally operate in the UK and many other jurisdictions. Customer satisfaction – The Cozy Games network offer 24/7 support by experienced staff that are always on hand to help with any issues. The Cozy Games company have also recently created the Cozy Partners programme. This is an affiliate programme of Cozy Management Ltd and includes partnerships with companies such as the Live Bingo Network and also the Mobile Casino Network too. This is a specific programme that allows brands and companies to run several platforms at one time all under one login account, and it’s a way of expanding the Cozy Games business even more. The Cozy Games software offers up a great variety of different online bingo games. There will be several themed rooms which span across the whole network, so games and jackpots will be spread throughout lots of branded sites simultaneously. Although the theming of the sites may be different, the games rooms will all run on the same network. Therefore if you play on a Cozy Games site in the ‘Big Ben’ room for instance, then this room will also be available to players on other Cozy Games sites. The software also offers each individual platform several fun bingo chat games too. This allows players to play additional games for fun alongside their bingo games, and these chat windows offer fun features such as emoticons and picture messaging etc as well. The Cozy Games software recently had a big revamp, and the new version now allows players to play in multiple bingo rooms at the same time. This enhances the experience even more, and allows players more chance of winning across even more games. Cozy Games offer hundreds of additional slots and casino games across their online bingo sites. These include huge branded titles from top developers such as Eyecon and NetEnt, as well as a selection of their own unique games only found on Cozy Games sites. Two exclusive games that are completely unique to the Cozy Games software are Honey Bee’s and Wild Vegas. These are unique 5 reel slots games, with jackpots and features that can’t be found anywhere else online. As most of the games on the Cozy Games network are shared across several different gaming platforms, this can mean much bigger jackpots all in all. There will be more players playing in each bingo or games room, and therefore the pay outs and prizes can be much higher than sites that run on smaller networks for instance. The network will also sometimes run separate community jackpots too. These will continually rise across the whole network until someone very lucky eventually wins. As the network operates across several different sites, these jackpots tend to be some of the highest ones around. As the Cozy Games company is so well established and trusted now, it prides itself in offering exceptional service and safety and security to its all its customers. All financial information is transmitted and processed using secure connections through leading e-commerce payment companies, and the software uses a variety of security technologies to protect personal information. It’s fairly safe to say that the Cozy Games network is highly regarded as offering one of the best online gaming softwares of today. With over a decade of experience in the industry and so many sites running on the network, it’s easy to see why players are attracted to the Cozy Games brand. Although the sites all have their own individual themes and branding, every Cosy Games site has a sense of structure and familiarity that runs across them all. 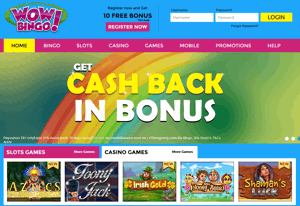 Each site is pretty simple and sleek in design, and the primary focus is always on the bingo and casino games themselves. Even though some of the sites do come with quite bold and colourful theming, it’s never to the detriment of the gaming and site navigation. I think that Cozy Games players enjoy the simple software, and the colourful site designs which are eye catching and fun. All of the sites offer players nice, classic layouts, but always with a hint of subtle cheekiness and fun along the way. There is an endless variety of bingo on offer, and the themes, although strong, never become too confusing or overwhelming. Instant Query: Visit www.cozygames.com and fill out the query form on their contact page. Cozy Games, 2nd Floor, St Mary’s court, 20 Hill Street, Douglas, Isle of Man, IM1 1EU. If you do choose to play online bingo and games with a Cozy Games site, then you should feel in very safe hands with this extremely successful brand. Cozy Games have over 10 years experience in the online bingo and gaming industry. All of the sites run on top quality unique Cozy Games software, that is forever changing to keep up with technological advance. A huge variety of fun bingo, casino, table and chat games are available across the network. Sites are sleek and classic in layout, and all are very easy to navigate. Games and jackpots are shared across several branded sites simultaneously, meaning bigger features and figures all round. 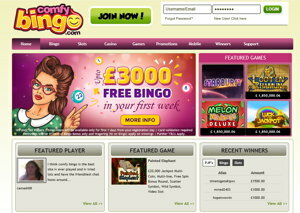 There are over 40 online bingo sites operating in the UK alone on the Cozy Games software. Most sites are themed but without being too cheesy or tacky. Even if the theme is more on the fun side, it’s still primarily focused on the actual bingo and casino games on offer. The majority of Cozy Games sites are bold and bright in colour, with the latest quality in graphics and design. The brand prides itself on exceptional customer service and care, with a 24/7 team on hand to always help should problems arise. As the brand do operate across such a large network, a huge focus is given to the safety and security of its players at all times. If you’re looking to try an online bingo site that has tried and tested software across a large network, then have a look into some of the Cozy Games sites. They each have their own individual bright theming, but the gaming always remains at the forefront of the brand. I think that Cozy Games have really built up a nice selection of classic, well structured sites over the years, and each one is just as strong when comparing across the board. They’ve have managed to create a good mixture of both classic and fun styles throughout all of their sites, and never seem to verge on feeling too tacky or bold.